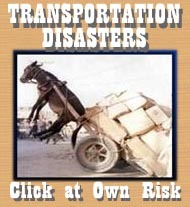 Subsidy Scope.com, October 27, 2009- Amtrak lost $32 per passenger in 2008. 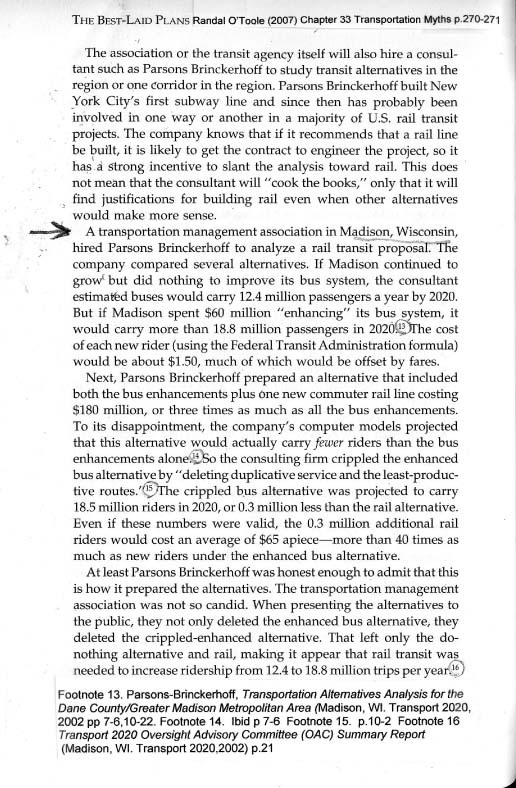 How much more "success" for the Doyle 'cow-speed' rail Milwaukee to Madison, can you afford? Click here to read the article. With three stops between Madison and Milwaukee, the average speed will be just 58 mph. That’s a bit higher than the current Badger Bus, which averages 42 to 52 mph depending on which bus you take. But the rail route is longer than the bus route, which means the train will take longer (1 hour 40 minutes) than the fastest bus (1 hour 30 minutes). WHY NOT LOOK TO FUTURE INSTEAD OF 19TH CENTURY? Wall Street Journal, March 20, 2010- This guest essay by Randal O'Toole is a must-read: Taking the Driver Out of the Car. STOP THE LOW SPEED TRAIN TO MILWAUKEE! Check out this new website - StopTheTrainWisconsin.com - dedicated to information about plans for a Madison-Milwaukee train. Sign the petition, contact your rep... act now because time is short. March 26, 2010, JS Online, by Patrick McIlheran: Perhaps they could just add a property tax surcharge? "So why do we need a train? To send a message about our region, say backers. Right, and that message is: Wisconsin, where we'll squander your tax money for years to come." [Read more] *This article is a must-read! Over 100 people attended Randal O'Toole's presentation on March 24th. 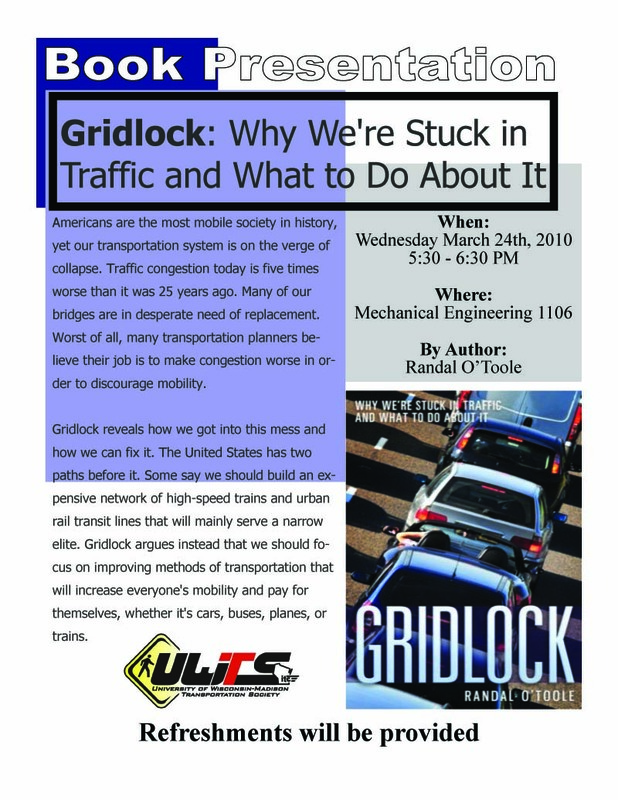 You can view the video from the Madison City Channel website by looking under "Streaming Video: On Demand" for the title, Randal O'Toole Presents: "Gridlock: Why We're Stuck in Traffic and What to Do About It" March 24, 2010. March 19, 2010. While this "survey" is most likely biased in favor of rail, you should still state your opinion. But be aware: most of the statements they include in favor of rail are simply not true--i.e. that it reduces congestion or increases economic development. We recommend you take the survey and make use of the "other" comments to voice some actual FACTS left out of the survey. March 16, 2010, ibmadison.com. Cato Institute's O'Toole Calls High-Speed Rail "the Next Boondoggle"--Author Randal O'Toole is probably Mayor Dave's worst nightmare. Catch Randal speaking at lunch in Waunakee Wednesday March 24, or later that day at the UW-Madison. WHAT WILL ADDING 2 TRAINS/DAY TO CHARTER ST. HEATING PLANT DO TO TRAFFIC? $2 million to rehab train tracks, nearly 3 times as many trains and train cars per week to deliver biomass instead of coal. This is "Green" progress? How much more fuel will the trains consume? How many more minutes per week will all traffic (including pedestrian and bicycle) be idling their time and gasoline away waiting for the biomass trains to pass? Read his Letter about Madison commuter rail here. He also tipped us off to an editorial from Machine Design magazine (June 2, 2009) that is a must-read: "Taken for a ride." Copyright © 2010–2019 by Thegreattrainrobbery.org. All rights reserved.